Why is the Sand White? Why is the water Blue/Green? Destin has become a popular destination due to the unique combination of fine white sand and emerald green waters. At the end of the Ice Age, the Apalachicola River carried tiny quartz particles down to the Gulf of Mexico 125 miles east of Destin. These tiny powdery white quartz were deposited on the coast all the way to the Pensacola Pass. They are some of the whitest and most homogenous sands in the whole world. This pure white sand is part of the reason the water is emerald green. The other piece to the puzzle is due to the way Destin is situated on the Choctawhatchee Bay. The giant bay protects Destin from rivers depositing sediment into the gulf. At the same time, clean clear water from deep gulf water rushes in on a constant basis. This water rotates clockwise towards Texas, washing away what impurites funnel through the East Pass. 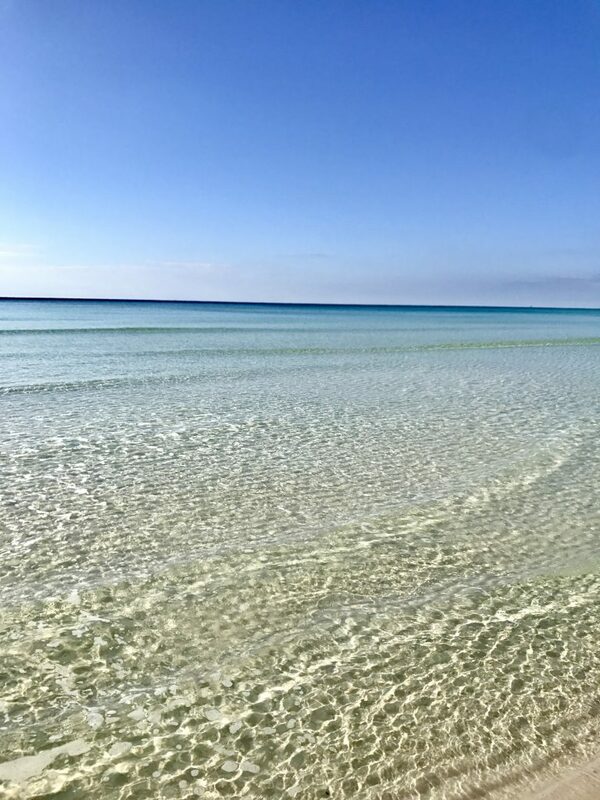 All of this comes together to create the crystal clear, sparkling waters of the Emerald Coast. In addition to beach access through oceanfront condos and private homes, there are 13 beach access points within the city limits of Destin. Eleven are city-owned facilities, one site is owned by the county and one site is owned by the state. Parking is limited at the city beach access points and many only provide access to the beach. James Lee Public Park: 3510 Scenic Hwy 98 This large public park is operated by Okaloosa County. It is found near the beach at the Okaloosa/Walton County line. There are 9 dune walk-overs, 3 pavilions, and 41 picnic tables. Public showers, bathrooms with changing rooms, and a playground are benefits of this park 166 parking spaces available. Norriego Point Beach Access and Park: Parking is available. Norriego Point is a peninsula found at the end of Gulf Shore Drive . Different from most Destin beach areas, it is not directly on the gulf. Instead, one side leads out to the Gulf from East Pass, and the other side is on the harbor. It is most easily accessible from the water. O’Steen Beach Access: There is limited street parking and an outdoor shower is available. This is my personal favorite access point to get to the jetty. Follow the beach all the way around to the gulf and you will be rewarded. 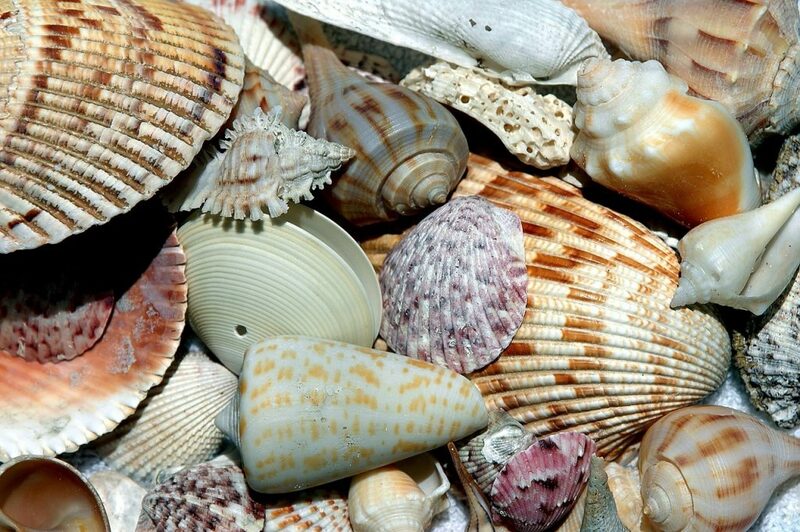 This is the best place to find shells. Ask me for special tips…Also, on the harbor side, you will find a great snorkeling spot. Many snorkeling tours bring you to this spot by boat. Note: The beach entrance is somewhat hidden. It’s a narrow walkway next to a white wall, which eventually opens up to access to the jetty and gulf. Keep the jetty to your right, but be careful not to venture into the dunes. 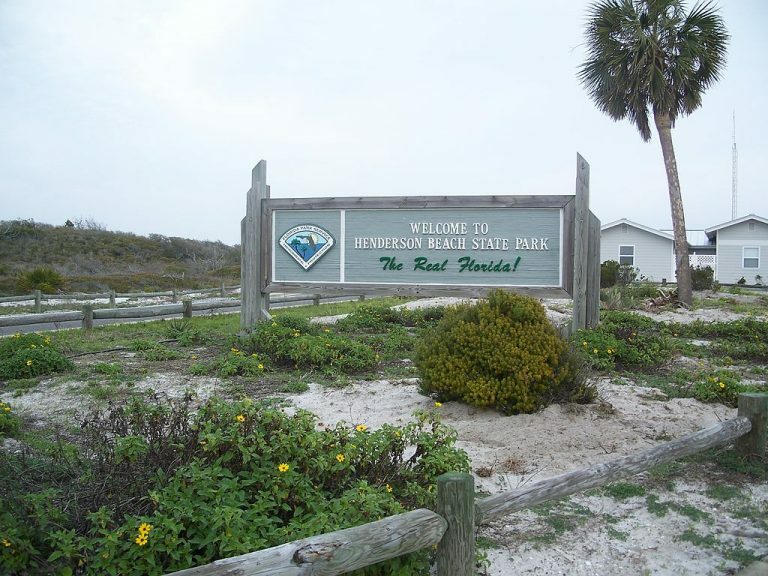 Henderson Beach State Park: 17000 Emerald Coast Pkwy There are 60 campsites in this state park. Campsites include electricity and water hookups, as well as access to air conditioned and heated bath houses. It is ADA accessible and has walking trails with boardwalk access to the beach. There is a parking area, playground, picnic area and outdoor showers. Admission is $6 per vehicle, maximum 8 people, $4 single, $2 pedestrians, bicyclists, and extra people in a vehicle of a single pass holder. Campsites start at $30 per night. Parking is limited but if you find a spot, you can access the beach from any of the three spots. Crystal Beach Area of Hwy 98 hosts several access points. Pompano Street Beach Access: Pompano Street and Hwy 98 This is a popular spot with the locals and you will see surfers, boogie boarders and volleyball games year round. The Shores at Crystal Beach Park: 2966 Scenic Hwy 98 You will find pavilions, picnic tables, bathrooms, showers, limited parking here.